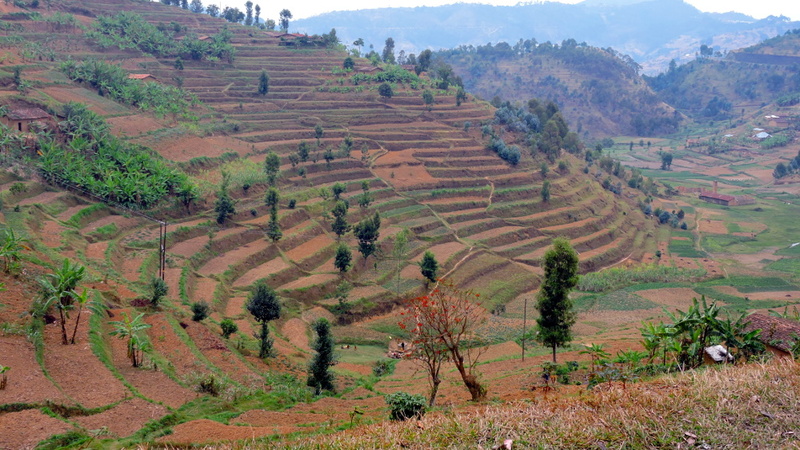 Fortunately, I didn’t know very well what to expect in Rwanda. It was 23 years since the genocide. What was now happening in the country? 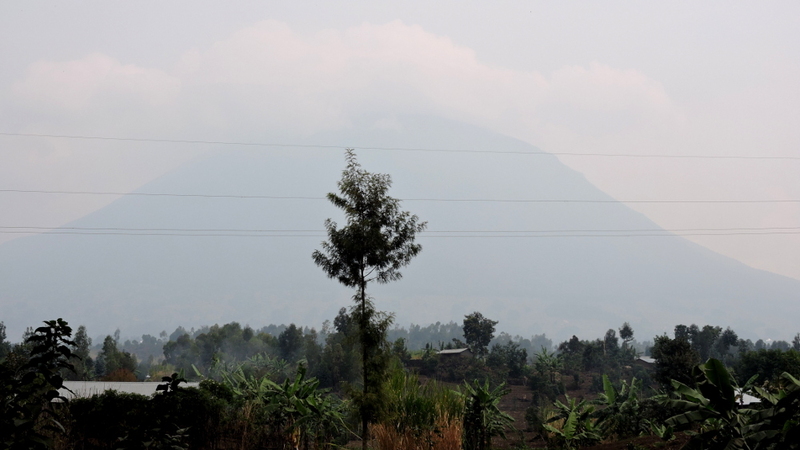 In addition to genocide and mountains, I knew one more thing about Rwanda: a ban on plastic bags! Of course, my panniers were filled with plastic bags. I usually refused them in the other countries but still they had accumulated. Who knows what I might need them for. Many things were stowed in plastic bags. During the last kilometers, I had enough time to invent stories for the official at the border. I was well prepared when I went for the baggage check. I only had to open the front panniers and there were some plastic bags on top. The official didn’t care. Which meant that plastic bags as such weren’t banned. The border was in a gorge and that meant that afterwards I had to climb out of it. Here it still was peaceful. When I cycled past a school, I heard the first “Mzungu”. Even here! It got really bad when I briefly stopped in a village for a drink. They appeared very quickly. At least twenty kids surrounded me “Mzungu, give money, give money”. I quickly fled. And it continued from now on. The population density was nine times higher than in Tanzania. It almost doubled since the genocide. At least 50 percent of the population were children and they were everywhere. 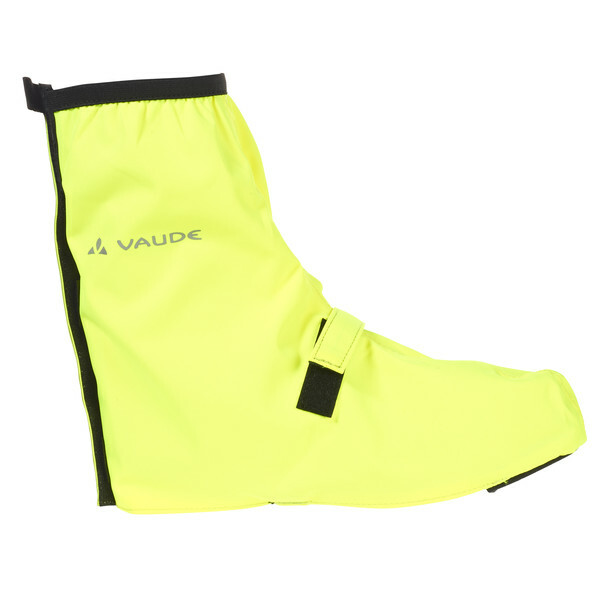 There were many cyclists around, many with yellow jerry cans. What would Africa do without these cans? There must be millions of them. 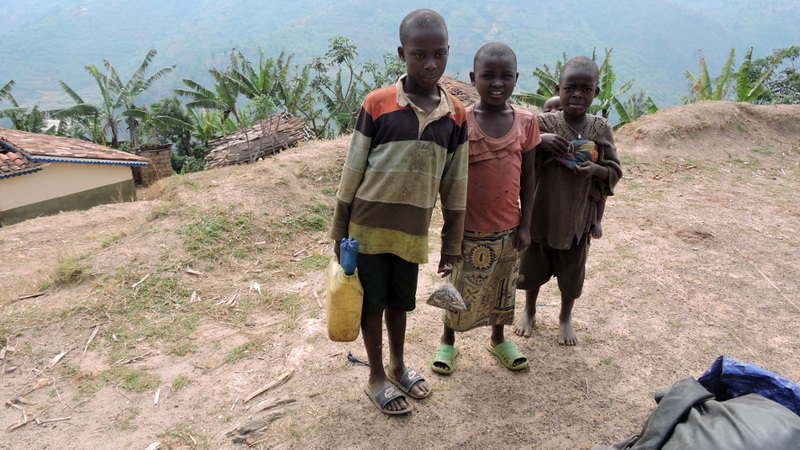 Daily water is fetched in them, even in these mountains. 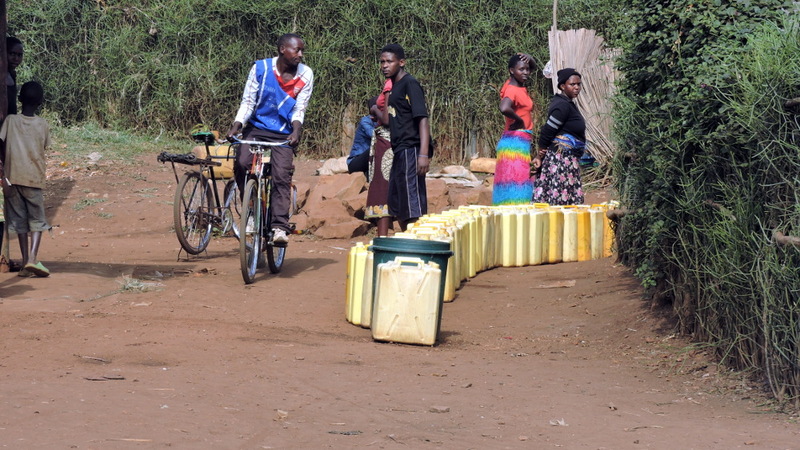 Three or four jerry cans per bike were no exception. 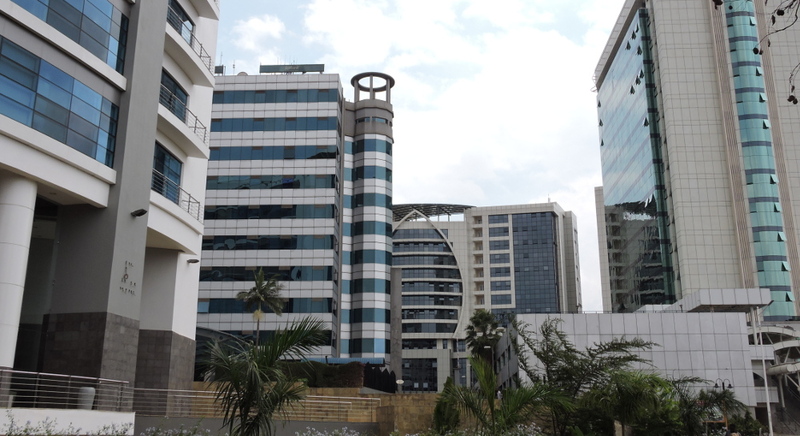 Thanks to tailwinds and because the mountains had flattened out, I arrived in the capital Kigali by evening. 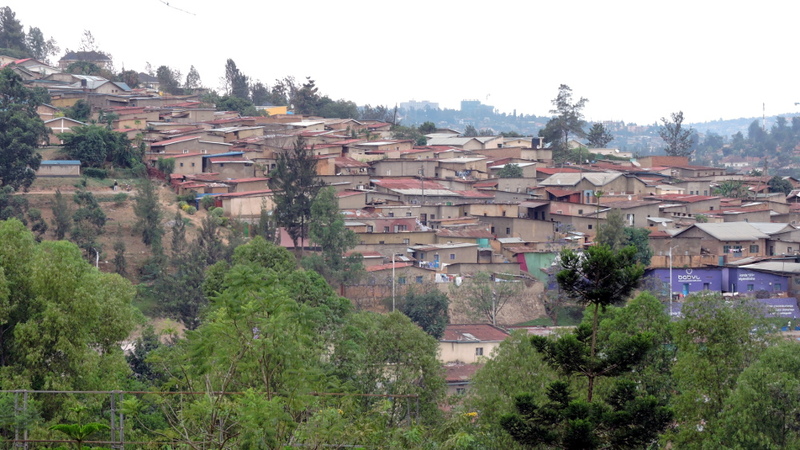 If Rome was built on seven hills, in the case of Kigali it had been a thousand. Either one went up or down. 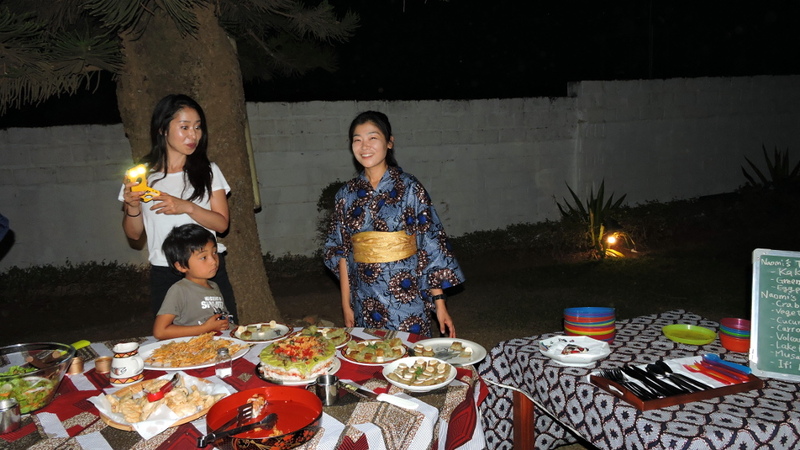 Mio, a Japanese touring cyclist who now owned a Japanese restaurant in Kigali, had invited me. I could rest and camp in her garden. Once again, I didn’t feel so well. Little wounds had become infected and my foot had swelled up. The doctor suggested rest and asked me to come for five days to get antibiotics injections. I had wanted to take a break and didn’t object. Quite on the contrary because now I had a good reason to stay. I had a lot of time to explore the city. 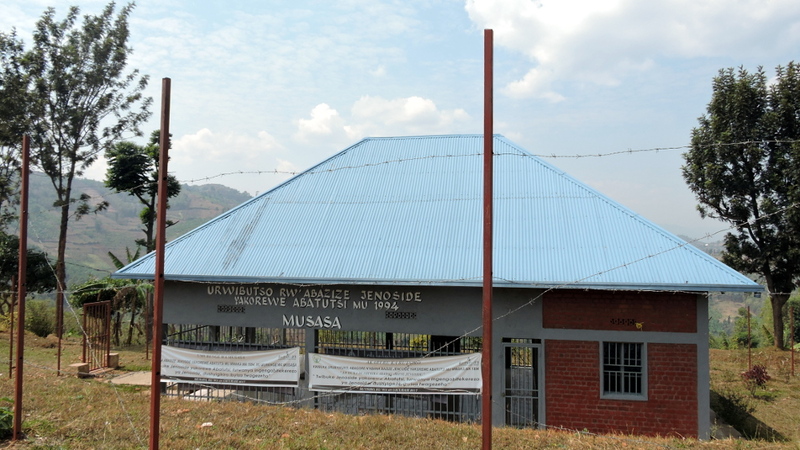 First, I wanted to visit to genocide museum. It was very outspoken. Through a lot of photos and interviews the story was told how the genocide happened and what took place from April 6 until mid-July. 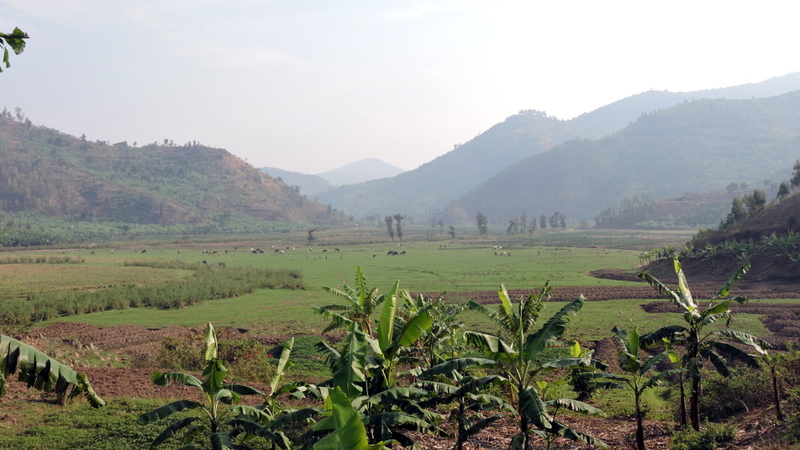 But I found it hard to believe that everything was peaceful before the Belgians arrived and had underlined the differences between the Hutus and Tutsis. There had always been tribal wars in Africa which probably had made it possible that here it became so extreme. The museum also showed genocides in other countries, first up the Holocaust, the Srebrenica Massacre, Cambodia, and even the killings of the Herero in German South-West Africa. But no example from Australia, Kenya, or the USA. I wonder who had sponsored the museum? When I registered in Tanzania, there was always a column to write down the “tribe” to which tribe I belonged. For fun, I always wrote Swabian. No such thing in Rwanda. It had been officially forbidden to distinguish by race. But everyone was allowed to call me “Mzungu” (white man). 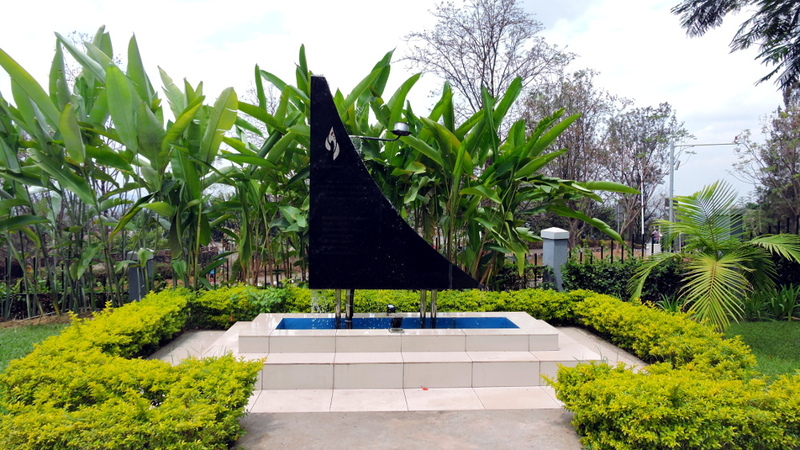 The memorials had become tourist attractions and I also went to the Hotel Milles Collines. 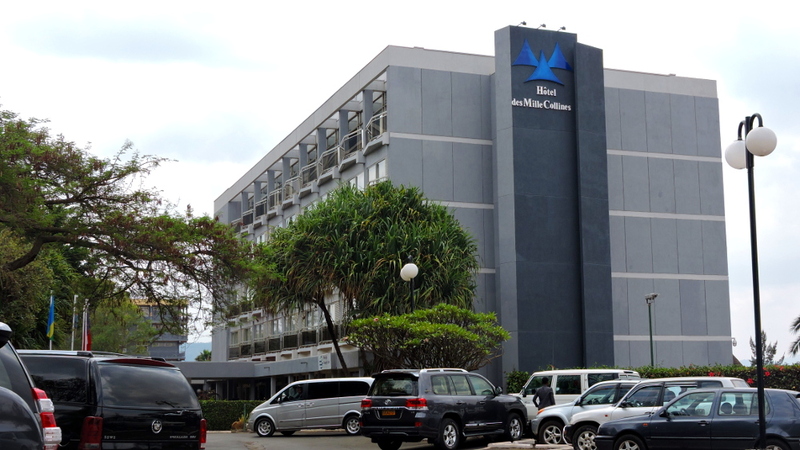 THE Hotel of the movie “Hotel Rwanda” in which 1,268 Tutsis had been hidden. I didn’t go into the hotel when I saw all the tourist jeeps and the many tourists. Nowadays, there were several other large hotels. There was a large presence of police and security. To enter one of the hotels or supermarkets, one had to go through a check point, like at the airport. 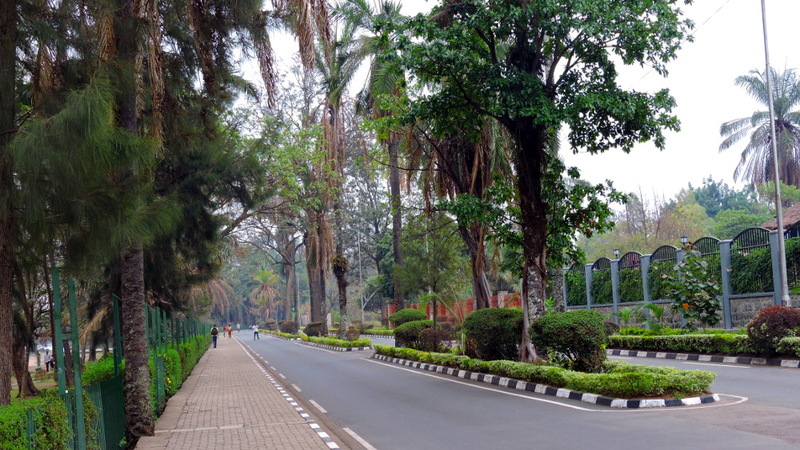 Without doubt, Kigali is one of the cleanest big cities in Africa. It had the best internet. Due to the large number of aid organizations and their expats there were coffeeshops with latte macchiato and WIFI. Expats was the term for whites who worked abroad. Blacks who worked in the western world, independent of profession, were seldom called expats. 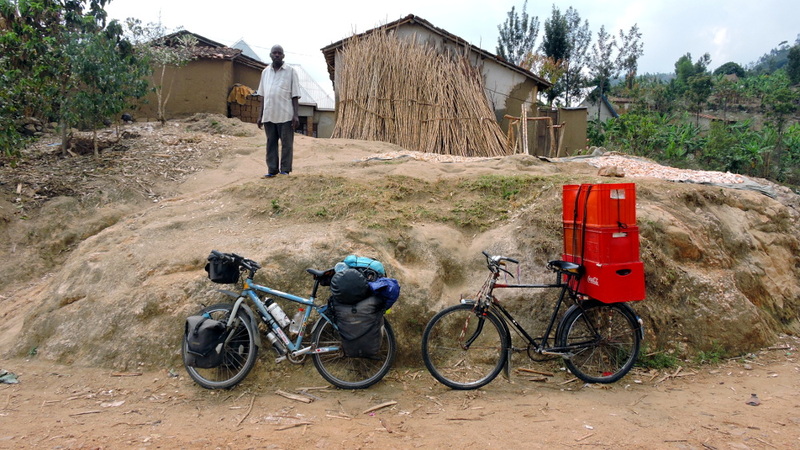 Every day I cycled six kilometers to the clinic and got my injection. I saw quite a bit of the city. 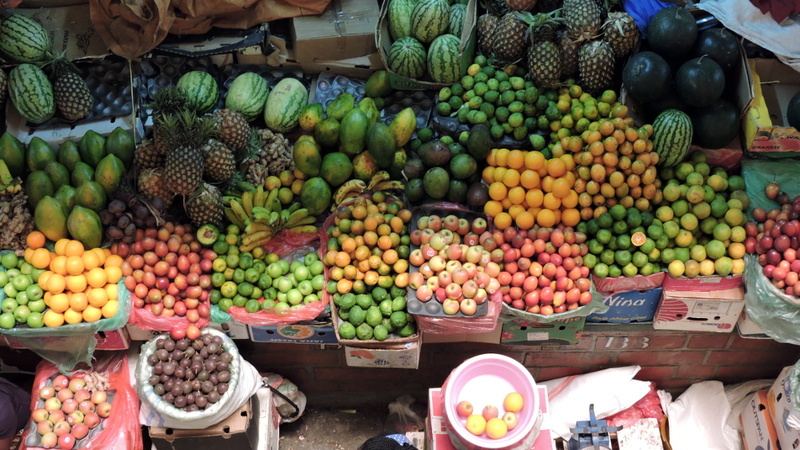 The variety of fruit and veggies that were cultivated here and what one could buy in the market was incredible. The papayas were very tasty but mangoes were much better in West Africa. And I discovered that I like avocados which I now eat just with a bit if salt. After a long time, I finally met two other long-distance cyclists, Eve and Aitor. They had enough of the kids and had decided to fly out of Kigali. I understood their decision very well. They also had been touring in Africa for a few months. By chance there was a party at the Kisegi Restaurant on my last evening. Mio had prepared several Japanese delicacies. Unfortunately, I don’t eat much fish and certainly not raw one. Happily, there was yummy salad. And finally, I got to try Japanese sake which was very tasty. They were offended when I compared it to the Chinese one. After a week in my refuge, I was well rested and once again faced the children. Again, it was terrible. I had the feeling that the whole day I climbed with a speed of four kilometers per hour. I was easy prey for the kids and their game of “Mzungu, give money”. They followed me for kilometers until the next ones took over. I only had peace and quiet for a few kilometers when I cycled downhill. In order to recover a bit and to get away from all the people looking at me, I took shelter in the courtyard of a small clinic. It was already late afternoon and I didn’t feel like facing the crowds any longer. I asked for permission to camp. They made an even better offer of a room. Paradise! Quiet, a shower, electricity, and a beautiful view of the mountains. Next day, I had to climb 2,000 meters. I thought, not too bad because I was already at 1,700 meters. 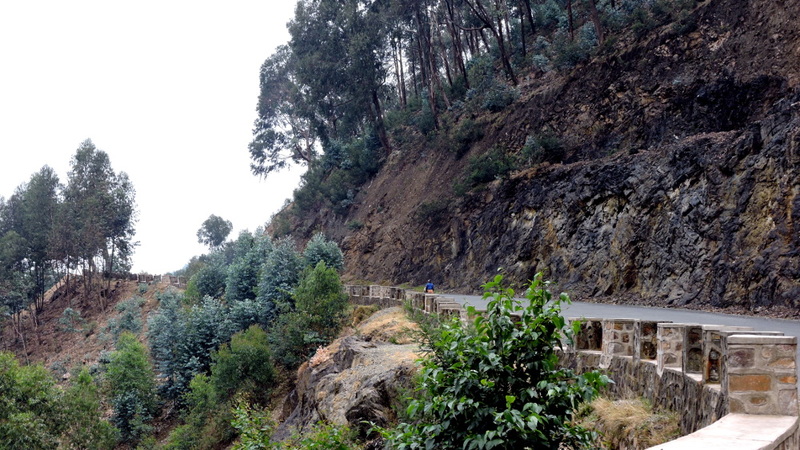 Rwanda wouldn’t be Rwanda, if the road didn’t go down first, to about 1,400 meters, so that the climb was worthwhile. And then I went up to 2,300 meters. I was completely exhausted and the kids were part of it. Once I waved at an oncoming car and pointed towards the children. Unbelievable, how quickly they ran down the embankment and into the forest. 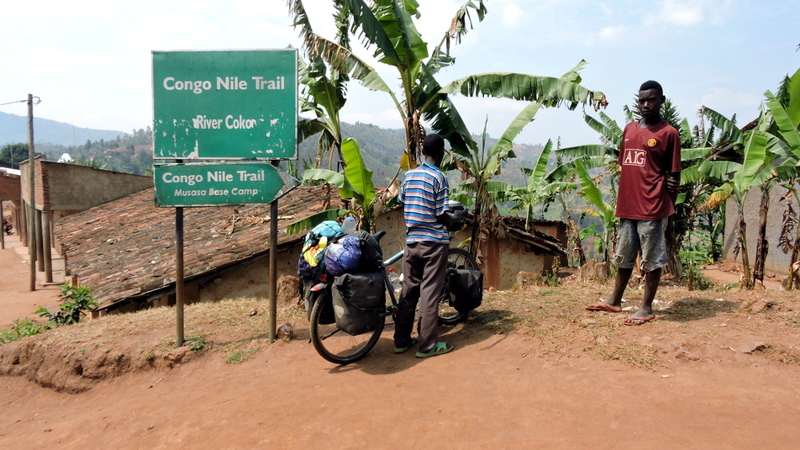 Before Kibuye I turned off to the Congo-Nile Trail. Finally, I was away from the road. The beginning was quite easy and not to steep. In the evening, I camped at a “cell”, the hut of the village administration. First it was quiet but then the whole village assembled and stared at me. It wasn’t they had never seen “mzungus”. 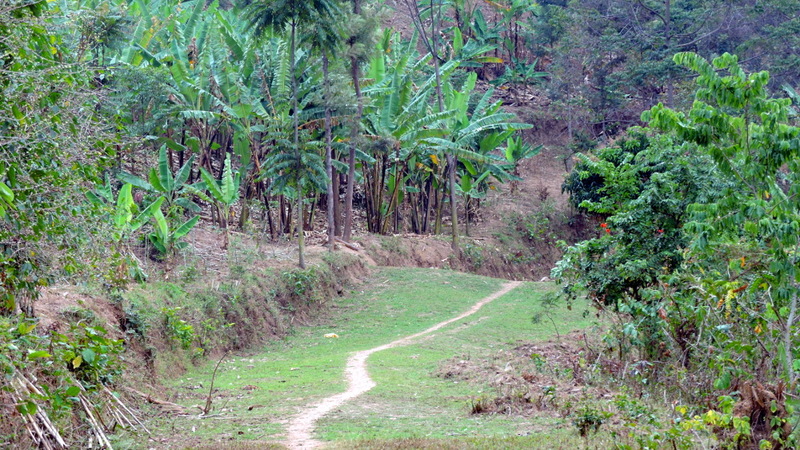 The trail is very popular for hiking and biking. 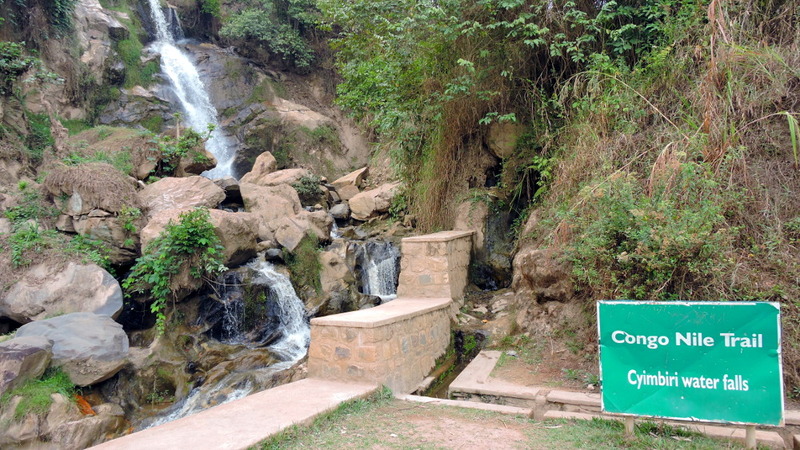 I had met several travelers which wasn’t surprising given the gorgeous landscape. 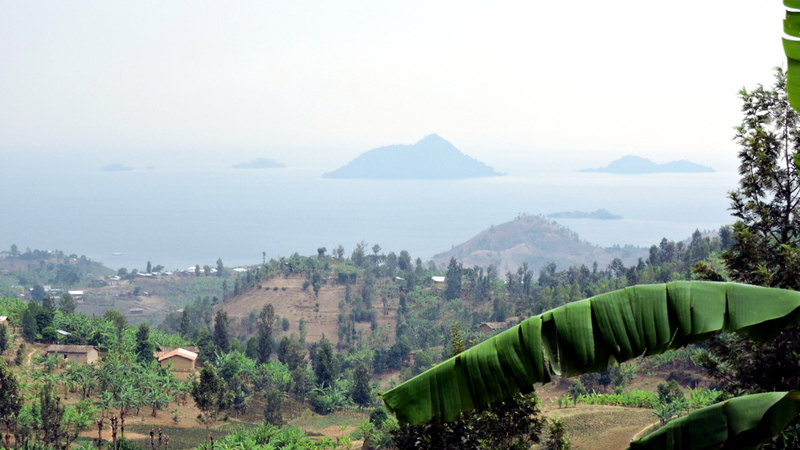 From high up I had a beautiful view of Lake Kivu. Then there was a steep descent. Followed by an uphill. Here I was somewhat grateful to the kids who had a lot of fun pushing my bike up the hill. One of the little boys helped me for a long time. I tried to convince him to turn around but he didn’t want to go. Even so he was small, he was a big help. He didn’t say anything and I let him continue. When we took a break, I shared my food with him. Only when we reached a church with loud music belting from the loudspeakers, did he leave me. When we said good-bye, I gave him some Tanzanian coins. He had a big smile on his face and said Tanzania in a dreamy voice. He was probably the 26th of 38 children at home. Sometimes a man helped with the bike. The trail would have been amazing without or with little luggage. But with my fully loaded bike it was a challenge. But few people talked about it. 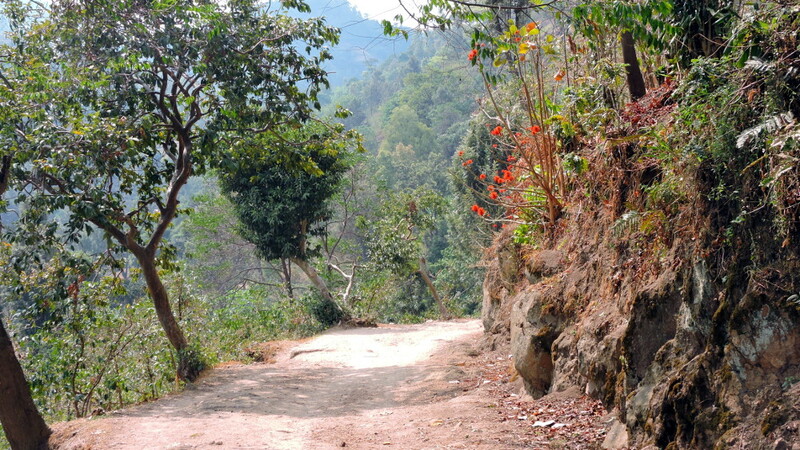 Once the villagers were busy maintaining the road. I thought, how commendable. Then I remembered it was the last Saturday of the month. 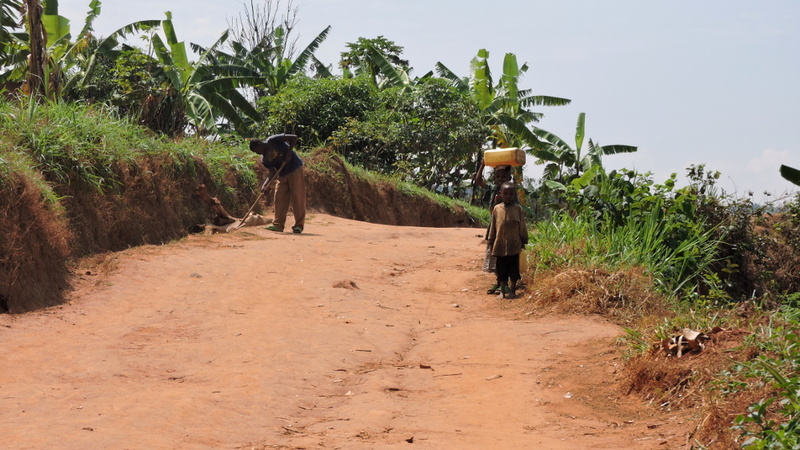 It was “Umuganda” which loosely translated into “Coming together and solve a task jointly”. The government had formalized this local tradition. 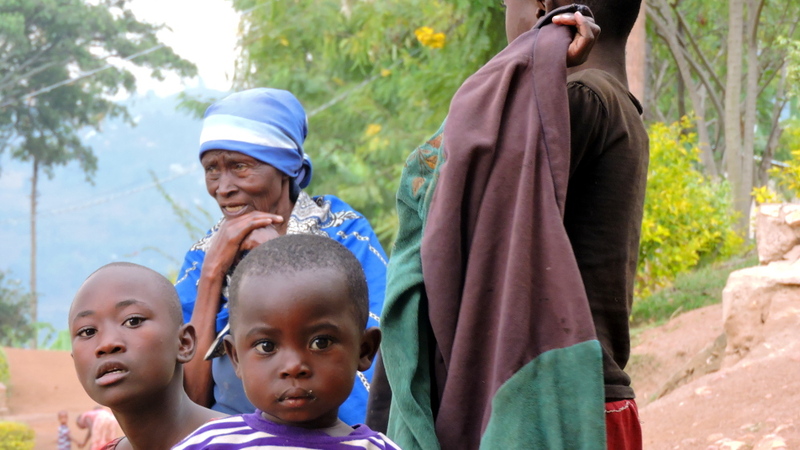 Every Rwandan between 18 and 65 years was expected to join every last Saturday of a month. Not a bad idea. Even so the bike was fully loaded, it was quite easy to cycle. Surely no car that could come here. Then there was a very steep climb on a wider trail and again I needed help. I had read that the trail was well-marked but nevertheless I had loaded it on my GPS. That was a good thing because for a long time, I didn’t see a sign. They reappeared on the second day. The trail was better sign posted in the other direction, from north to south. 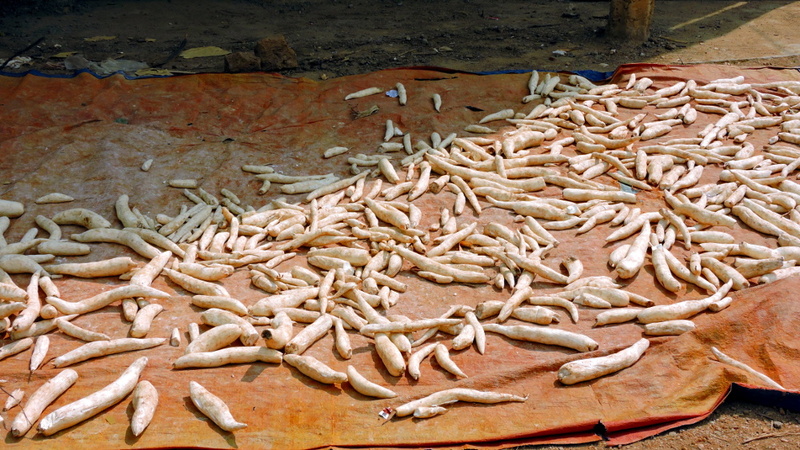 Typically for the whole of Africa was the drying of manioc on the road. For me it had a somewhat unpleasant smell. Two women came towards me with beautifully woven baskets on their heads. I wanted to know what was inside. They laughed and said they were empty and they needed them for dancing. They were on their way to a wedding. 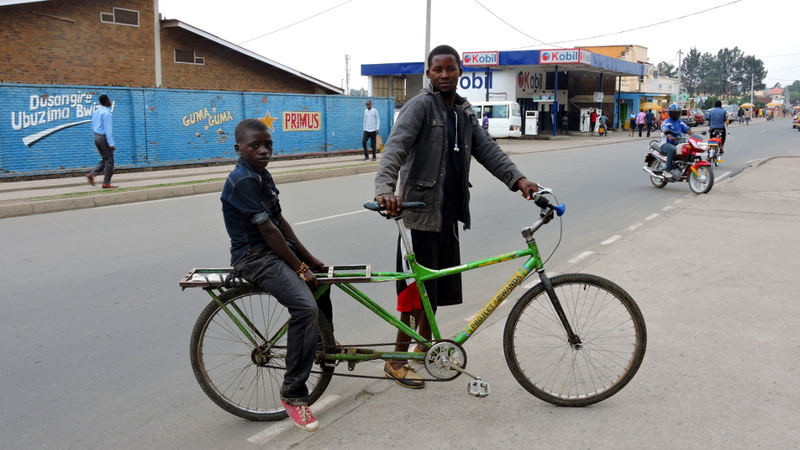 They didn’t want to be photographed and put the Akasese on my bike. 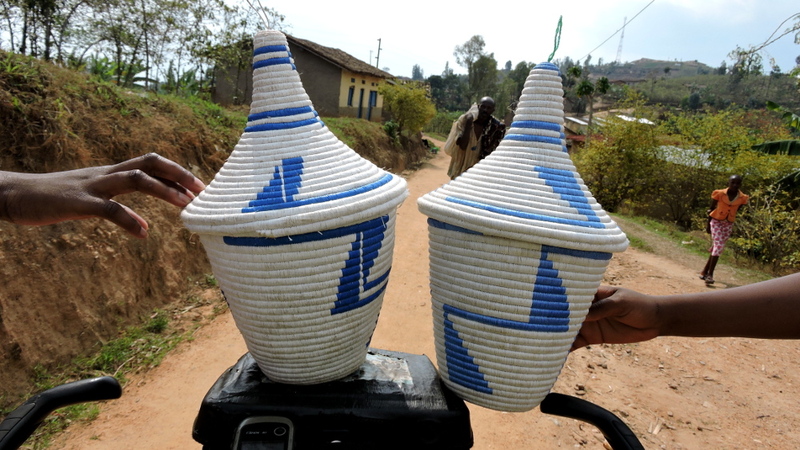 Akasese are traditionally woven Rwandese baskets which are used for many things. And there were children everywhere. 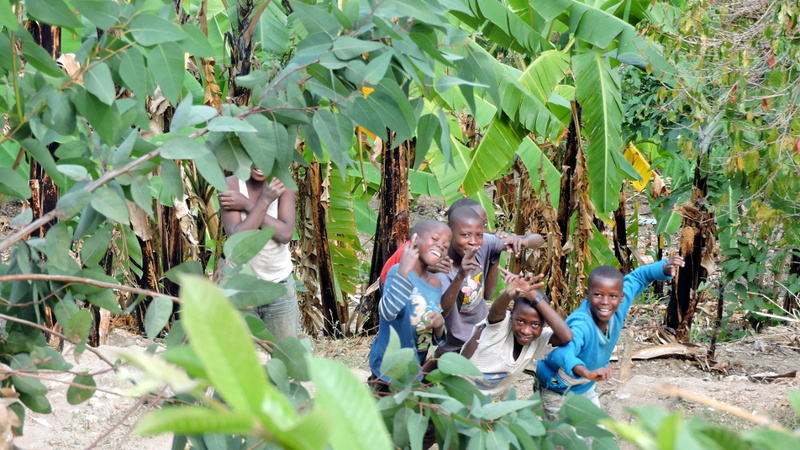 From other kids they had heard “Mzungu” and came running fast. It probably was the best time for the trail. 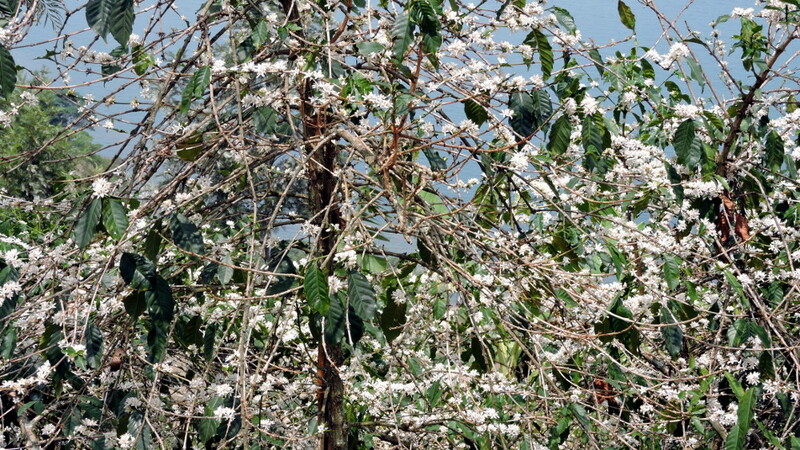 It was shortly before the rainy season, not too hot, and the coffee plants were in full bloom. The smell was really beguiling. And I wasn’t the only cyclist. I felt sorry for these cyclists. 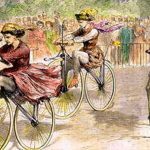 They couldn’t make it uphill because they didn’t have gears and they couldn’t cycle downhill because they didn’t have breaks. This man had to push hard because of six crates of Coke. I wondered how many kilograms he carried. For the downhills he had a clever breaking mechanism with a bike chain. Once again, I came past a waterfall. And once more uphill through a village where I was surrounded by staring people. Usually I asked people if I could take their photos. But picking up the camera was also a good trick to make them go away. Maybe that didn’t sound so good for the European reader and not how one should behave as a guest. But after weeks during which I had been stared at all the time, I just couldn’t take it any longer. 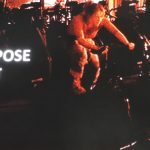 For ten years I had been touring by bike and for the first time, I seriously considered giving up. It was psycho terror. In the mornings, I didn’t feel like leaving my tent. And “Mzungu, give me money”, followed into my dreams. But I didn’t want to give up. 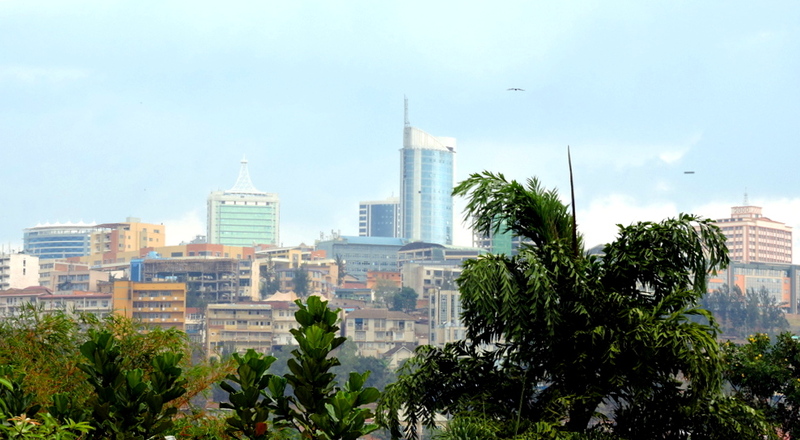 Fortunately, Rwanda was quite small and I hoped, it’d be better in Uganda. 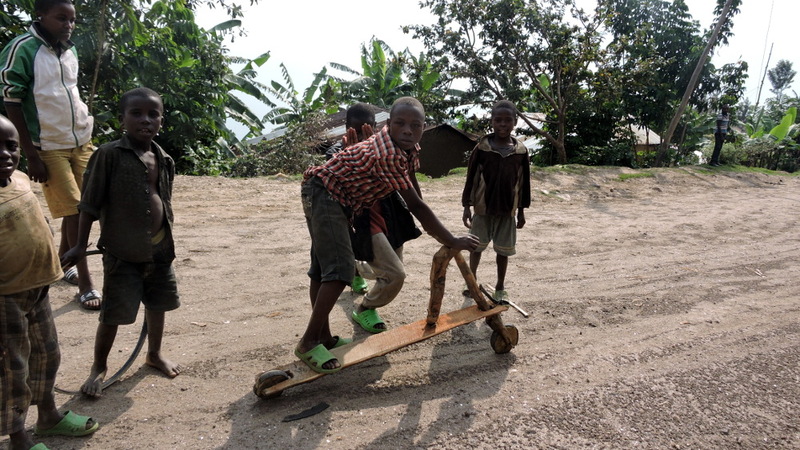 On the last downhill to Gisenyi, the boys raced me on their wooden bikes. They weren’t children’s toys. Instead they were used to transport crates, jerry cans with water, and bags with coffee beans. I had seen them in Angola. After three days on the trail, I returned to civilization. 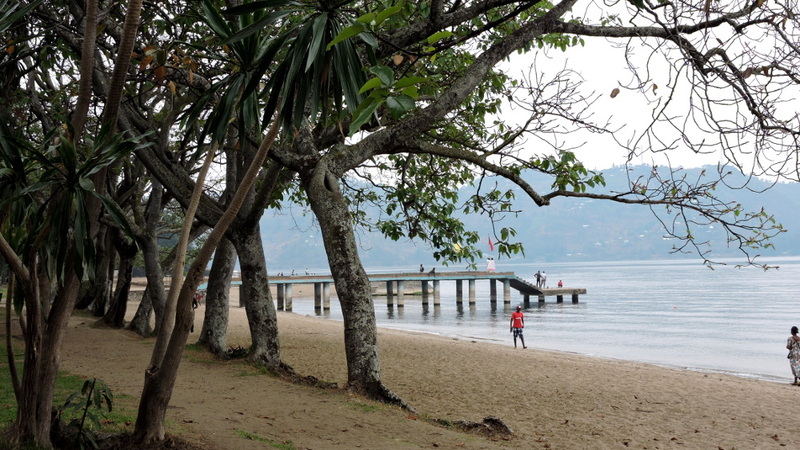 Gisenyi was on Lake Kivu, in the northwest of Rwanda. 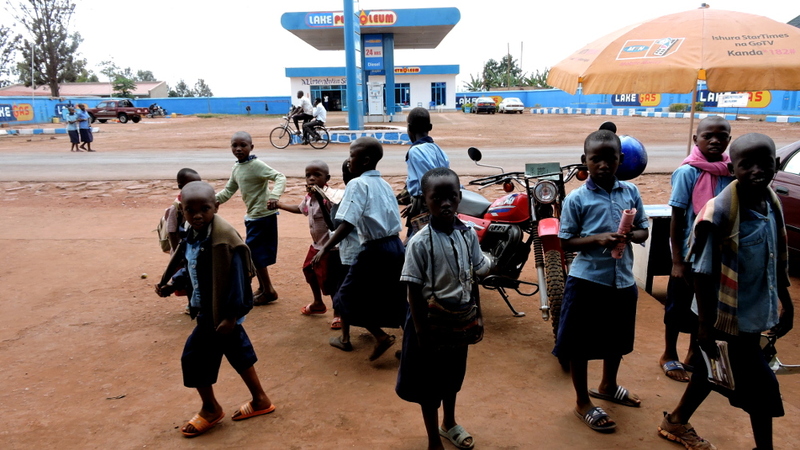 I only realized how close it was to Congo DRC when I wanted to stop at a supermarket which I saw on my GPS. It was an easy three kilometers away. 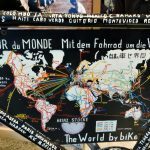 I cycled for one kilometer and then reached the border. 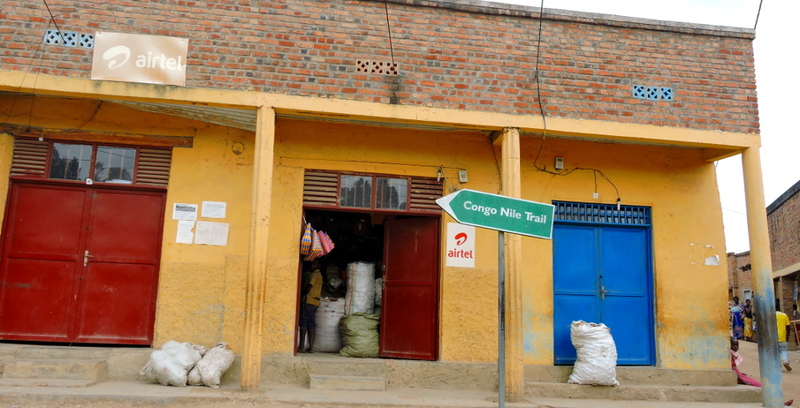 The shop was in Goma, the Congolese city, which had virtually merged with Gisenyi. A lot of tourists visited here and no one stared at me. There was hardly a kid who yelled “Mzungu, give money”. I was especially happy to finally see one of Tom Ritchie’s “Project Rwanda” bikes. Tom had developed these cargo bikes for the coffee farmers so that they could quickly deliver the coffee beans for processing. 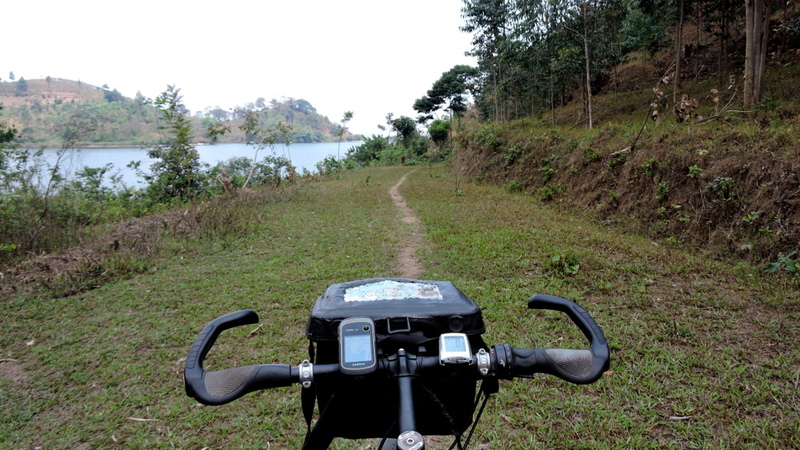 In the book, “Land with a second chance”, Tim Lewis wrote about this project and the bike culture in Rwanda. It’s an excellent book for anyone who wants to learn more about the country. 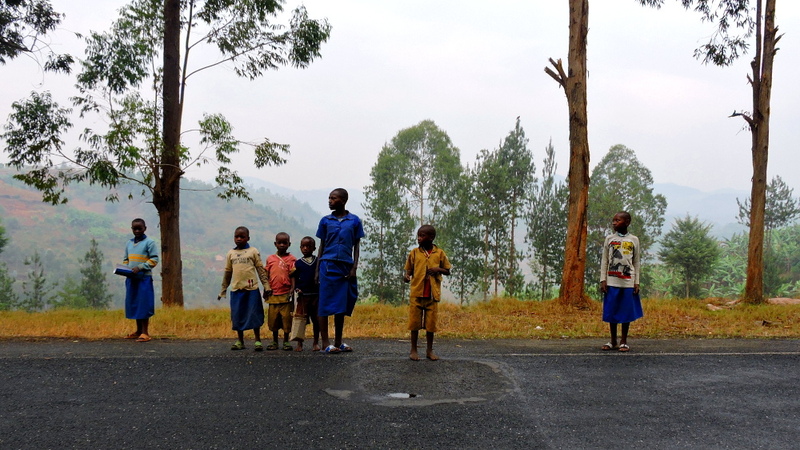 I had barely left Gisenyi when I was once again pursued by a group of yelling children. It was easy for them because it was a 30 kilometers climb. Luckily, there was a gas station on top where I could seek refuge. I shared lunch with a very nice couple in a small room. Amazing what was cultivated here. Carrots, onions, and potatoes made for a colorful potpourri. 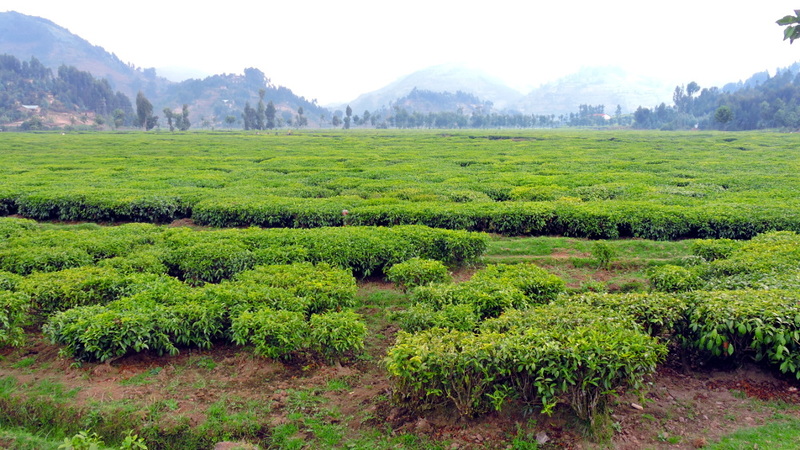 Tea plantations added a vivid green. After a night at a guesthouse in Ruhengeri, I cycled past volcanoes. Through the fog, the cones were barely visible. Only 30 kilometers to the border and I counted every single one. There were few times when I had been so happy to leave a country. 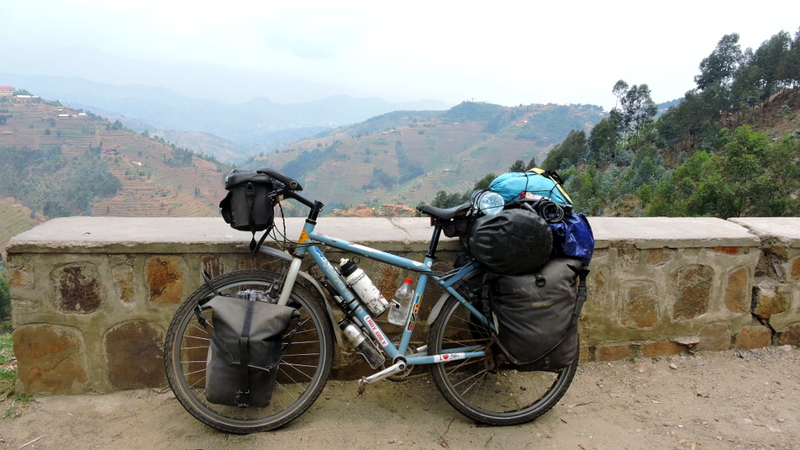 I had been in Rwanda for 16 days and cycled 532 kilometers. 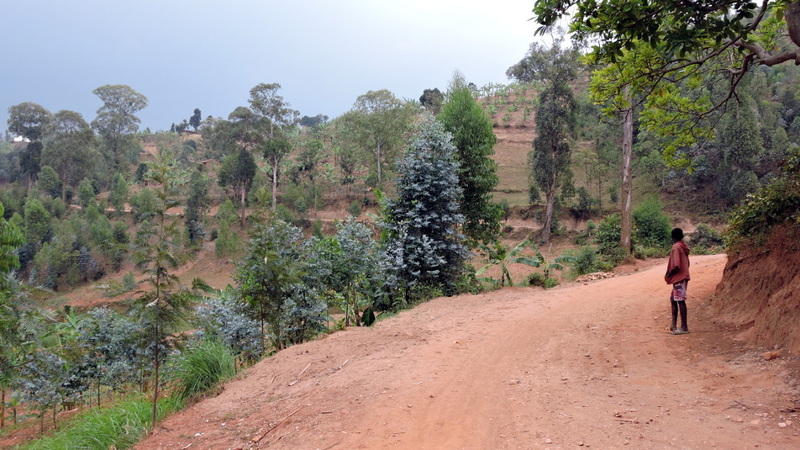 Away from Rwanda and into Uganda. 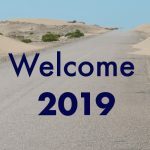 What awaited me in the next country? Once again, the only information I had was that it was a hilly country. I didn’t give up hope that everything would be alright. Nice to read your account. I think any white faced tourist coming to East Africa should know that being called mzungu on a daily basis between 5 and 50+ times is just part of the experience. I too found it irritating, but it was never really threatening when I compare it to cycling in Ethiopia for example. Thanks Peter. After Rwanda Ethiopia was not such a big challange for me anymore. I just had 2 – 3 incidents per day which were not really threatening and could enjoy the rest of the day.